Harley Davidson has posted the 2009 demo ride schedule which will be taking place at Harley Davidson dealership clear across Canada. It's a great chance to get a close up look at what's new, or old, and perhaps even throw a leg over and take one for a ride. Unlike many manufacturers that sometimes charge a fee for you to ride their demos, the Harley-Davidson demo rides will be free of charge and open to the general public. The first dates start in BC in early April and there are rides scheduled all the way out to October of 2009. There's too many dates and locations to list so here is the link. There has been some Internet rumor going around that Kawasaki is going to withdraw from MotoGP competition. That would be bad news for the sport of motorcycling - indeed! It's a sign of the times though, and just shortly after Honda announced it's withdrawal from F1, and Suzuki and Subaru leaving the World Rally Championship. It seems that the global economic crisis is taking a heavy toll on motorsports of every kind. Motorcycle sports, it would appear, aren't immune to shrinking budgets. Spanish Motorcycle magazine, Motorciclismo.es is reporting that it's official, and that Kawasaki is going to leave MotoGP. Tuttosport, another motorcycle magazine has also said that Kawasaki has already decided to leave MotoGP as well. So, that's a few sources who've been seemingly well informed in the past saying it'll happen very soon. Official word may come as soon as this Thursday. CycleNews has apparently spoken with John Hopkins who (according to them) confirmed reports that Kawasaki may be on the verge of pulling out of the 2009 MotoGP World Championship, though he hadn't heard anything official. "I heard it’s up in the air, but I haven’t heard anything confirmed yet,” Hopkins said from his home in Rancho Santa Fe, California, today. “I got some calls from the team manager [Michael Bartholemy] and he said that everything could be up in the air as to whether they run it or not, but nothing has been confirmed. I don’t know what it would do to me. I’m really not sure. I’ve been talking to my managers and seeing what the plan is and they’ve been on the phone to Japan trying to figure it out as well. Right now I’m still contracted to them so I’m not sure what the plan is.”"
There's quite of bit of contradicting information out there but many signs are indicating that this may happen. Update: See the comments below - Helena Jaczek has sent email responses after the publishing of this "reported" information which seem to indicate that Bill 117 is NOT dead. We've received news that Bill 117 has been squashed. Reports are that the folks at Motorcycle Mojo have been contacted by Federal Member of Parliament, David Sweet MP with the news. We haven't seen anything official posted yet though so keep signing petitions if you're so inclined. It was indicated that he has had discussions with a Government Member of the Ontario Provincial Legislature and was advised that Bill 117 is dead following the prorogation of the last session at Queens Park. Bill 117 would have banned motorcycle passengers under 14 years old in Ontario. There has been a huge outcry from motorcyclists against this Bill with numerous petitions and campaigns against it. It would appear that if this is true that all the efforts have been successful! Western Canada's largest custom bike show is coming up. It's going to take place in Westerner Park, Alberta between January 23 and 25, 2009. For additional details check out the website here. Our apologies for some technical difficulties we've been experiencing today! We've reverted the site to the old design because of some browser compatibility issues we were experiencing. You'll still see some traces of some issues until we get everything fixed up. The most important site functionality is working as it should now though. Thanks for your patience as Canadian Motorcycle Rider tries to improve the reader experience! Ducati North America has announced plans to expand its Canadian dealership network for 2009. Unfortunately, it'll come at the expense of participation in the Parts Canada Canadian Thunder Superbike Series though. They'll develop their Canadian business with three new destination dealerships opening in 2009; located in Montreal, Toronto and Laval. Ducati's departure increases the already big differences in the bikes left in the series from last year. For 2009 only BMW and Buell left as of this writing. The investment in facilities by Ducati and it’s Canadian partner dealers is part of a very successful and growing retail design program that was introduced by Ducati North America in 2007, with the 2008 Dealernews Grand Prize winner, Erico Motorsports of Denver, Colorado. “We are thrilled with the success the NCR Ducati team had this year, and are even more excited about the ambitious new projects going on with Ducati’s Canadian dealerships. The commitment being made by dealers in new stores underscores the confidence in the brand. We will continue our racing efforts in United States next year and will make a formal announcement in January regarding our direction.” - James Viola; Marketing Director of Ducati North America. The Ducati NCR squad dominated the Canadian Thunder class championship with the 848 Superbike. The team surpassed the goals it set out to achieve in 2008 by not only capturing the championship, but winning every race and finishing 1-2 four times during the season. On December 26th we'll be giving away our final ticket to the North American International Motorcycle Supershow. Note - your email has to be sent on the 26th! The 20th person to email us here on December 26th will get the last ticket we'll be giving away to this event. Here's the question: On the Regional Resources section of our site - on the Ontario page, what is only commercial resource listing? Hint - it's the only one with a picture on the page. Happy Holidays from Canadian Motorcycle Rider! The eighth edition of Motorcycle Tour Guide Nova Scotia, produced by Harold and Wendy Nesbitt, has received the Motorcycle Award of Excellence for Riders in the motorcycle ride category. 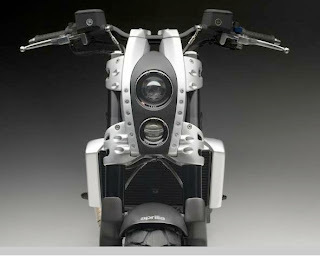 The award is to be presented at the North American International Motorcycle Supershow in Toronto from Jan. 2 to 4, 2009. The guide is guide is a compact, easily carried book with full-sized mapping and information that will be of importance or interest of motorcyclists while travelling in Nova Scotia. One might expect to pay for a book packed with so much useful informaiton but the mototcycle guide book is free! Internet rumors! Oh, how we love them. 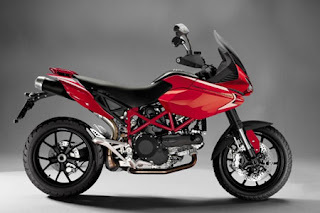 French motorcycle magazine Motorevue is reporting that Ducati is going to be coming out with a new Multistrada in 2010 that's aimed squarely at taking some market share from the BMW R1200GS. It's said that Ducati announced to select dealers at the Milan Show last month that they had big plans for the multi-purpose Multi-Strada. The new bike is reportedly more than just some cosmetics though, it's said it'll be a redesign with a new engine too. Rumors suggest that it'll get a 1098 or 1198 engine, and take fairing and headlight styling cues from the new 1198.
photo courtesty of visordown. 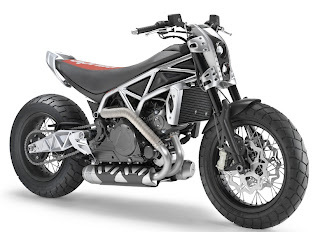 The picture is clearly a Photoshop piece of fiction but may give hope to some who may want a bike that performs like the Multi-Strada does now but with a little less of the "ugly-duckling" styling. This redesign, if true, could put the Multi-Strada on the shopping list for a lot of people who may not have considered it before because of the unorthodox styling. Two tickets to the NAIMS to be given away today! We're giving away the 2 more of the tickets we've got to the North American International Motorcycle Supershow, taking place in Toronto this Jan 2-4th. What year is Honda planning to produce a new electric motorcycle? Hint - the front page or "news" specific page is where you'll find your answer. After gaining some experience in the 2008 FIM Superstock 1000 World Cup, KTM is now going to participate in the high-class German Superbike Championship with their 1190 RC8 R. 2009 will mark the entry of KTM into the international Superbike race series in cooperation with KTM Germany. The Austrian two-cylinder bikes will be piloted by Stefan Nebel and Didier Van Keymeulen. The newly formed Superbike team will be headed up by the experienced technician and team manager, Konrad Hefele. Hefele brings over 20 years of professional road and GP racing sport and has successfully also guided the KTM 125 cc youth team to several IDM championship honours. So it looks like KTM will be ready to race for 2009. Honda President, Takeo Fukui, announced on Thursday that the Japanese company will offer a battery powered motorcycle in two years time. The announcement was made during a speech on the summary of business for 2008. Fukui stressed the importance of motorcycles for Honda's global business in light of the tough economic times across the world. Fukui said: “Honda is currently developing a battery-powered electric motorcycle which emits no CO2 during operation, because the characteristics of a battery can be better utilized in the area of motorcycles, which are often used for short distance travel. “Honda is aiming to introduce this electric motorcycle to the market about two years from now. He added: “Honda’s toughness in meeting changes in the business environment comes from the global business foundation built around the three axes of motorcycles, automobiles and power products. “History shows that motorcycles remain strong in a difficult market environment and have always supported Honda in difficult times. People showed renewed interest in the value of motorcycles which consume less fuel for commuting purposes as well as for their easy-to-own/easy-to-use efficiency. Ducati North America is holding a contest in which dealers across North America will customize a new Monster 1100 for a chance to have their bike take part in the International Motorcycle Show circuit. 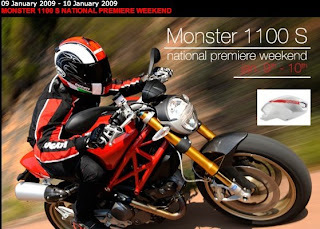 As part of introducing the new Monster, Ducati North America is sponsoring the “M1100S National Showroom Premiere” at select dealerships Jan. 9-10. The dealerships have been asked to create their own vision of the Monster and to show their bikes at their individual dealerships during the Showroom Premiere weekend. The list of Dealerships participating can be found here - we've listed the Canadian sites below. Check back at that website on Dec. 30 to vote online for the best dealership custom job. The votes will determine who's Monster 1100 will go along with Ducati on the remainder of the International Motorcycle Show circuit. Snazzy new look for the site! You may have noticed that Canadian Motorcycle Rider is sporting a brand new look. We kinda like it! Let us know what you think. You may still see a few tweaks and changes yet but the bulk of the work is done. A special thanks goes out to Shaun at Bio Design Works for the help with the changes. Feel free to let us know by sending an us an email here. Cycle City in Burlington, Ontario will be having a a liquidation/bankruptcy sale this coming Friday, Dec. 19th and Saturday, Dec. 20th from 10 am till 4 pm. According to Matt, they're clearing out everything; motorcycle, parts and accessories, even the desks and fixtures. The dealership has been around since 1976. Their closing is a sad sign of the economic times. Help them out by checking out the sale this weekend. You might pick up a good deal in the process. Harley-Davidson's CEO, Jim Ziemer, plans on retiring next year which will end his 40-year career with the company. 58-year-old Ziemer told the board of directors Monday, Dec 15th that he intends to retire in 2009, but will stay on until a new CEO is named. The board has formed a search committee to find a successor. Time to polish up that resume! Ziemer is a native of Milwaukee and grew up near Harley Davidson's original factory. He started working for Harley in 1969, operating the freight elevator while he attended the University of Wisconsin-Milwaukee. After he graduated he joined the company's accounting department and worked there for most of his career. He was named financial chief in 1990 and president and CEO in 2005. The Indian motorycle manufacturer Bajaj Auto (the second largest motorcycle manufacturer in India) is buying up some more shares in KTM motorcycles. 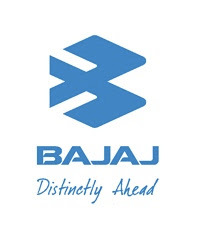 They're planning to up their stake in the Austrian motorcycle manufacturer from 25% to 30% over the next few months said Managing Director Rajiv Bajaj. Bajaj and KTM are collaborating on a few different projects, one of them reportedly being a highly efficient motorcycle that will be produced in India. The KTM/Bajaj creation should break cover some time in 2010. KTM is planning to sell other KTM motorcycles in India under the Bajaj label as well, the cooperation with Bajaj brings wide distribution for the brand in India. It's never too early to start planning your summer vacation! Here's a good reason to take a little time off in July - or maybe just go for the weekend. BMW is going to be holding their annual Summerfest at Mosport International Raceway this summer from July 17th – 19th 2009. It's sure to draw motorcyclists from far and wide. There will be a big party on Saturday evening featuring live music by a selection of Canadian talent. They'll also have some great off-road and on-road demo rides and all the pavement lovers will get some action too. Some race action that is, there will be some Superbike, Pro 600 Sport Bike, and the Canadian Thunder Series at the track. On-site camping will be available, you can bring along the RV, or stay off-site at various B&B and hotel accommodations. BMW will have what they refer to as the "BMW Marketplace" on site as well, offering product demos, service specials, parts and accessories, and branded apparel. Keep an eye on the Summerfest website for more info. Mark your calendars or just keep an eye on our Events Calendar page. Two tickets to be given away today! On the "Ontario" page of the Regional Resources section of the site - What is the second resource listed? It's a great link to a great resource for riders of Ontario or those heading there! Hint - click on the "Regional Resources" page. Then go to "Ontario". Send in name of the link that's second from the top. That's it! We're giving away 2 tickets today! The 2009 Part Canada Superbike Championship Schedule is up. 7 events are listed for this season, which will be the 30th season for superbike racing in Canada. For additional information on the Parts Canada Superbike Championship head on over to there website here. It's packed full of information. The 2009 Women's Cup schedule was released today. Looks like there'll be some interesting stops this year. * The site automatically loads playing some music so you may want to turn down the volume on the speakers before opening. Don't pay retail prices though - get them online via CMR's Amazon bookstore. The prices are heavily discounted from what you'd pay in the store and most books are eligible for Amazon's free shipping on orders over $39. So you can get them two books for the price of one! They'll think you're being extra generous! The Toronto Motorcycle show is this coming weekend. BMW Motorrad Canada will be bringing the new K1300S, R and GT along with the F800GS that has finally started to show up at dealers (much to the delight of those who've already put deposits on them and anticipated a September arrival). Riders that like the dirt might be interested in seeing the G450X Enduro. 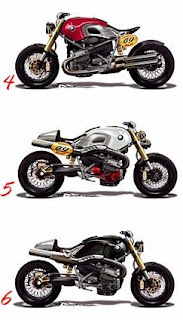 Those of you who are more World Superbike than off-road adventure will surely enjoy BMW's, still under development, S1000RR, BMW's World Superbike entry that won't hit the racetrack in 2009. Honda should have the 2009 DN01, a $17,499, 680cc tourer with an automatic transmission. Not to disappoint, the CBR600 and CBR1000 sportbikes should be there as well showing off the new optional anti-lock brakes. Kawasaki will show off the Vulcan 1700 series and the new ZX-6R 600 sportbike that is said to be an almost unbelievable 10 kg lighter than last year's model. Canadian Superbike and Pro 600 Champion Jordan Szoke and teammate Alex Welsh will be there too doing some autograph sessions. KTM has said said they'll be showing off the 1190 RC8 Superbike and their single-cylinder 690 Enduro; the most powerful single cylinder on the market. Deeley Harley-Davidson will have the 2009 touring models and Tri-Glide trike and the previously Euro-spec only XR1200 Sportster. You'll get a look at the Police Edition of the Buell Ulysses too. Suzuki will be bringing the all new GSX-R1000, new Boulevard M90, and the SFV650 (or Gladius)- a naked styled bike using the famed SV650 v-twin engine. Suzuki will also show off some Canadian only models such as a 650 and 1000 V-Strom that come with locking hard bags and topbox as standard equipment. Yamaha will have the new V Max, the 200-horsepower rocket! BWM brought a concept bike to the EICMA show in Milan, Italy this past November to test the public's perception of a LoRider concept they'd come up with. They wanted to see what people thought about it. The general consensus seems to be positive but BMW have set up a site where you can give them your thoughts on which configurations you like best, what price you think it should be, what amount of horsepower it should have, and many other particulars. BMW have 12 different configurations shown on the site below. We've included a little preview for you. Head on over to BMW's specially set up site to tell'em what you think. Famed MV Augusta designer Massimo Tamburini will be retiring from his position of design chief at MV Agusta by the end of 2008. It's not clear who will take up the newly vacant job but it's hinted that the design team he leaves behind will continue his legacy and vision. Maybe they'll have a boss parachuted in from Harley Davidson now that they're a wholly owned subsidiary. Only time will tell. VARESE, ITALY, Dec. 3, 2008 - MV Agusta today announced that Design Chief Massimo Tamburini will retire from the company, effective Dec. 31, 2008. Tamburini has been with Cagiva since early 1985 and has headed up MV Agusta’s engineering and design center, Centro Ricerche Cagiva, in San Marino for over 13 years, where he and the staff designed what are widely regarded as world-class, premium, high-performance sport motorcycles, including the legendary F4. “I have dedicated a significant part of my career in motorcycle design to Cagiva and MV Agusta and am immensely proud of the beautiful and thrilling motorcycles we have created,” said Tamburini. “While my decision to retire was extremely difficult to make, I am confident the highly-talented designers and engineers in San Marino will continue the tradition of excellence that is the hallmark of MV Agusta. I have been privileged to realize so many dreams during my years with Cagiva and MV Agusta and look forward to seeing more great things yet to come from the company,” Tamburini said. Tamburini plans to pursue design interests outside the motorcycle field and to spend more time on his other outside interests. “Massimo Tamburini is one of the legends of the motorcycle industry and leaves a great legacy at MV Agusta,” said Claudio Castiglioni, MV Agusta Chairman and Director of Motorcycle Research and Development. “The capabilities he built at MV Agusta’s design center are outstanding and his legacy and vision will now be carried forward by the team he assembled and mentored over many years. While we will miss his presence, we respect his decision to retire and wish him all the best for the future,” Castiglioni said. MV Agusta is a wholly-owned subsidiary of U.S.-based Harley-Davidson, Inc. (NYSE:HOG). 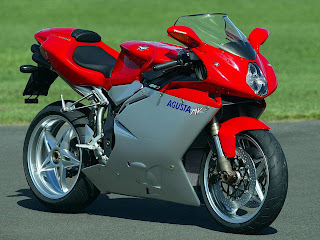 MV Agusta produces premium, high-performance sport motorcycles sold under the MV Agusta® brand and lightweight sport motorcycles sold under the Cagiva® brand. Harley Davidson Sportster XR1200 coming to Canada. Looks like the Harley Davidson Sportster XR1200 is coming to Canada. Previously only available in Europe, it was announced that the bike would become available in the US in 2009 and now the announcement has been made that it'll be available for the Canuck (that's a Canadian eh - for our non-Canadian readers) for 2009 as well. Vivid black will set you back $13,079 while a color model is $13,419. Available colors will be Vivid Black, Pewter Denim, and Mirage Orange Pearl. 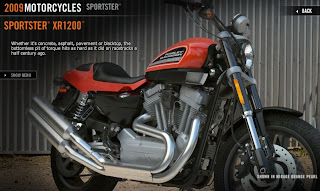 All the specs are up on the Harley Davidson's Canadian website here. Photo courtesy of Harley Davidson. We're giving away the fifth of ten tickets we've got to the North American International Motorcycle Supershow, taking place in Toronto this Jan 2-4th. According to the site sitemap; what is the most recent article written on Canadian Motorcycle Rider? Hint - click the Site Map in the left sidebar navigation of Canadian Motorcycle Rider and the article listed at the top of the bulleted list is the most recent post. The Toronto Motorcycle Show is coming up faster than a ZX-14 on the Autobahn! Mark those calendars folks, this December 12 - 14, 2008 at the Metro Toronto Convention Centre you're in for an up close look at the newest bikes, ATVs, gear and accessories from companies such as Honda, Yamaha, Kawasaki, Suzuki, Harley-Davidson, BMW, Ducati, Buell, Victory, KTM, Vespa, BRP, Aprilia, MotoGuzzi, Ural, Hyosung and more. There will be a riders marketplace where you can save lots of cash on a new 2008 boke or ATV from dealers loking to make room for the 09 models. Tons of motorcycle gear, aftermarket products, and motorcycle apparel can also be purchased at the show. World renowned stunter Jason Britton will be on hand all weeekend too. He'll be signing autographs and talking with fans in the Parts Canada booth. There's plenty more happening too. Check out the Sportshows website for more details. Note - A video with sound loads automatically when you open the site. So crank it or turn it WAY down depending on where you are! Friday, December 12th, 10:00 a.m. - 9:00 p.m.
Saturday, December 13th, 10:00 a.m. - 9:00 p.m.
Sunday, December 14th, 10:00 a.m. - 5:00 p.m.
Aprilia's Mana X was unveiled a little while back at the EICMA motorcycle show in Milan, Italy. The photo's that came out of the show didn't really do it justice though and Aprilia have finally released some new photo's with a higher level of detail that help you see all the interesting elements of the bike. The Mana X is Aprilia's take on a stylish, fun, urban bike. It's based on the Mana 850 and seems to use most of the 850's frame, engine, and the CVT transmission. It adds some flat track-inspired styling which is so "Harley XR-1200" right now. The styling is bold and sits much lower than the standard Mana. The seat is extended and covers most of the airbox (the fuel is under the seat), it gets large 17" wheels fitted with dirt-style tires and heat wrapped exhaust. The projector style headlights are reminiscent of high end camera lenses. Don't look for gear and brake levers down at the footpegs either; you won't find them there. The Mana X uses a CVT transmission and so the shifting is performed automatically via buttons mounted on the handlebars. So, the rear brake to be moved up to the left handlebar position. This should appeal to riders transitioning from scooters to motorcycle. Sales have been reportedly slow for the Mana 850 and Aprilia could be looking to breath new life into interest for the Mana engine and CVT technology. This is a concept bike but it wouldn't be too much of a stretch to move it into production. Some changes would obviously have to be made, such as extending the seat and rear fender. We're giving away the fourth of ten tickets we've got to the North American International Motorcyle Supershow, taking place in Toronto this Jan 2-4th. What's the first book listed in the Canadian Motorcycle Rider Bookstore? Hint - click the Book Store link in the left sidebar navigation and you'll see you're answer. It's a classic. Come back tomorrow too - we'll be giving away another ticket!